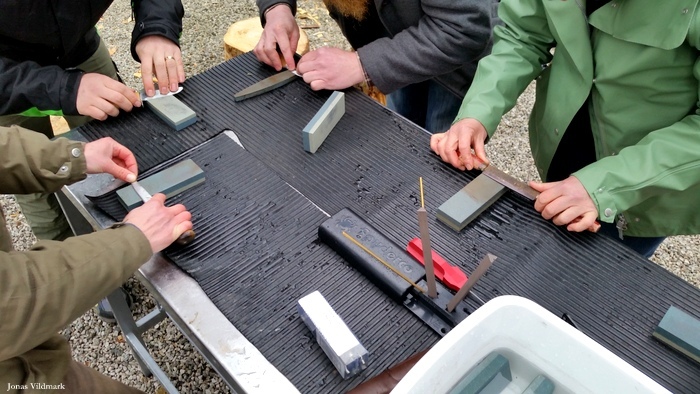 Edge Tools is a one day course where we go into depth of the noble art of separating materials. The training is held by the campfire of Lienshyttans Herrgård in Riddarhyttan Sweden. The edge tools are some of our most important tools. Looking at history; they have brought us to where we are today. 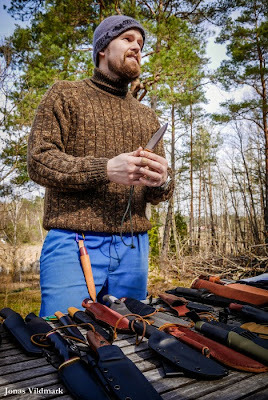 During this training you'll get knowledge regarding edge tools like; the Knife, the Axe and the Saw. We'll go through chopping and carving techniques as well as we learn how to sharpen your tools and to do the maintenance. Edge Tools is a popular course going into depth of the subject, giving you tips and trix and at the same time gives you the chance to practice your techniques and skills in the peaceful surroundings of Riddarhyttan. If you're interested in a day full of bushcraft skills; we hope you'll sign up for one or several of the course dates found below. The whole training is spent outdoors whatever the weather. Bring clothes for all weather and also bring your own edge tools, if any (there are tools for borrowing at site). Also take a look at the course Edge & Fire; click HERE. To see a taste of parts of this training; click HERE.